Let It Ride delivers quality custom 16oz. pint glasses. Whether they are for your bar, man cave, a wedding party or business promotion, we can deliver pint glasses to meet your needs. Contact us today for your custom pints quote. 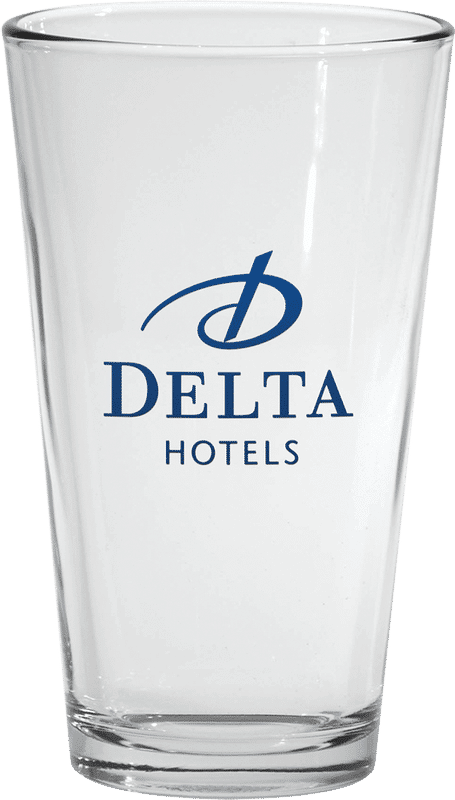 We offer a variety of 14 different pint glass colors to print on. Florescent Orange, Florescent Pink, Purple, Lime Green, Process Blue, Orange, Reflex Blue, Yellow, Black, Navy, Green Red, Maroon and Pink. THINGS TO NOTE, BEFORE WE QUOTE: Our minimum pint glass order is 72 pieces. Pints come in cases of 12, so any multiple of 12 is always appreciated. Our turn around is 7–10 business days upon artwork approval. Artwork should be at minimum 300dpi. Now go ahead and send us your awesome artwork. When do you need em by? Accepted file types: jpg, png, ai, psd, esp, pdf, .